Andrew County Rotary hosted the annual Mexican Fiesta on May 4th outside on the square in Savannah, MO. The annual event is held to raise funds to support rotary projects as well as engage the community to become involved in Rotary. 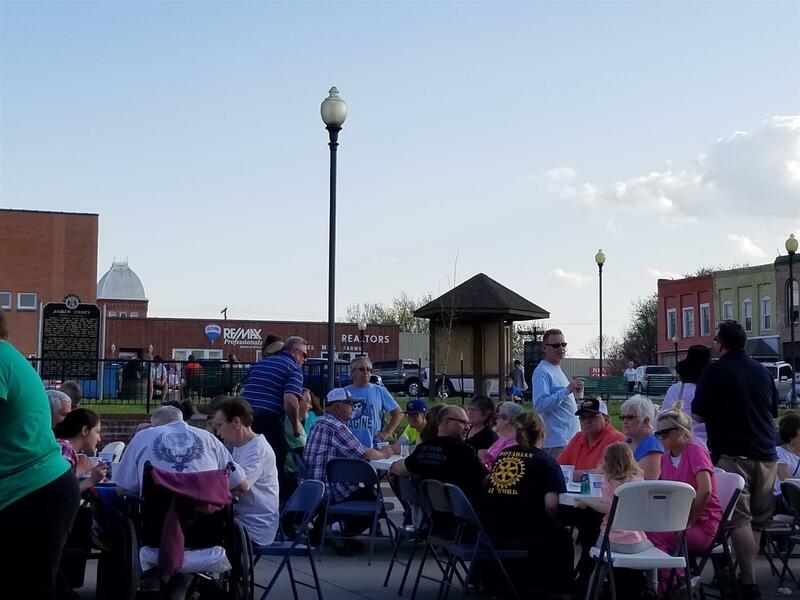 Rotarians sold tickets to guest for a fajita bar and a margarita or soda, entertained with live music, a piñata and the entire evening was complimented with beautiful weather. This year the club added a .05K Margarita Run to the evening. Participants young and old paid the entry fee of $10 to enter the 164 feet race. With their entry fee they received a free margarita or beverage of their choice and a car decal to show the world their accomplishment. The community came out in great support and are looking forward to next years event.